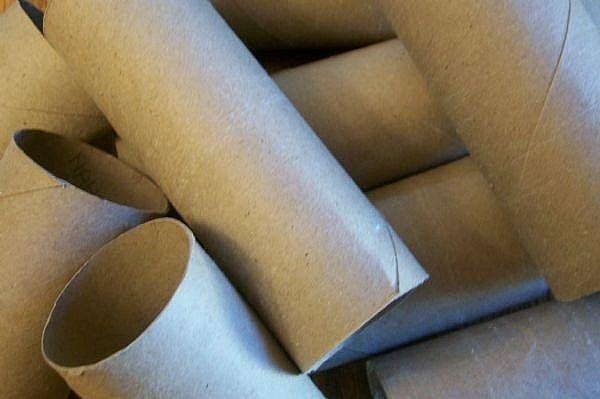 It may be surprising, but those cardboard toilet paper tubes are dead useful for so many things besides just keeping the circular shape of your TP roll. As shown before, you can make car dash mounts for your mobile phone, but that's just one of the many beneficial uses from a seemingly junk cardboard tube. You probably go through quite a bit of bathroom tissue over the course of a year, especially if you're using it for facial tissues, too. 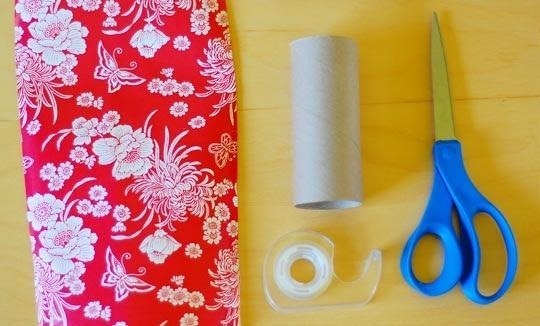 So, the next time you throw away that lonely little TP tube, make sure you think of the following five ways to reuse them. You might just end up holding onto it—even stocking up on them. As I mentioned before, seed starters are very useful if you're planning a home garden. 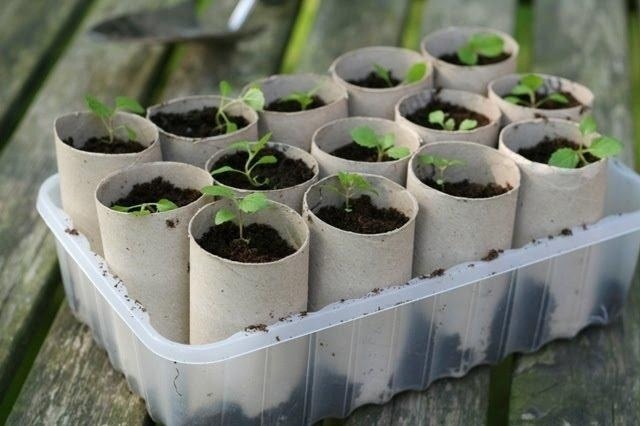 So why not use old toilet paper tubes as a biodegradable seed starter? 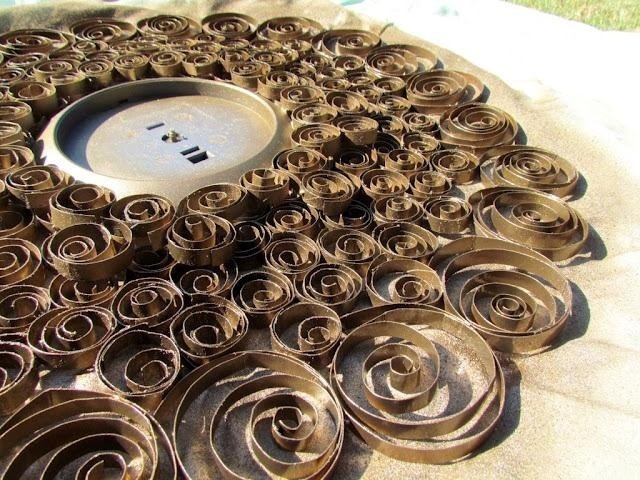 Saidos da Concha has a cool little tutorial up that shows how to make the best of your old tubes in the garden. 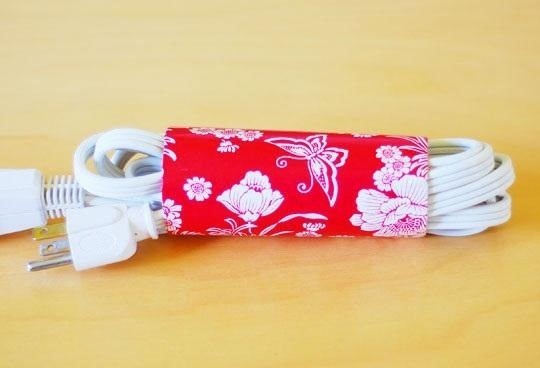 We have all seen people use tubes as cord holders. It's a good idea that doesn't get old. Apartment Therapy jazzes up this idea by adding a decorative touch! Just get creative and add your own personal touch. 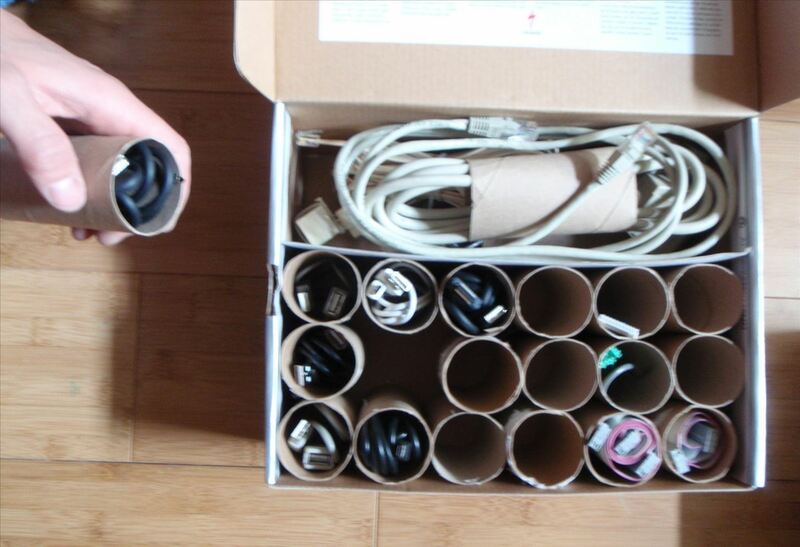 Sure, having a single toilet paper tube cord organizer is great, but wouldn't it be better if you had a whole storage kit? Berserk over at Instructables has an awesome tutorial for a neat and tidy cord organizing kit. 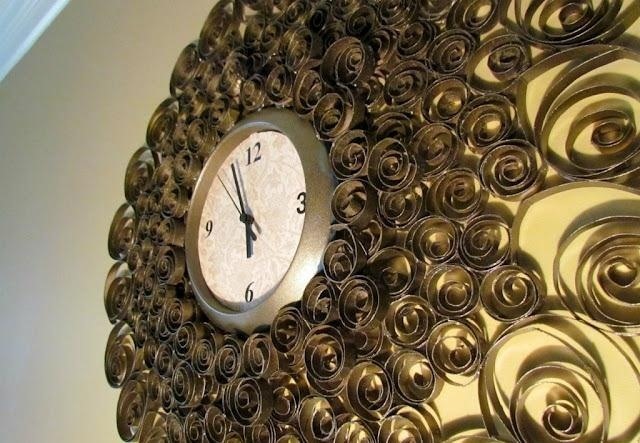 This is quite possibly the coolest thing I've ever seen made using toilet paper tubes. 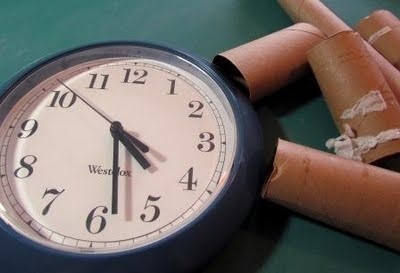 Suzy's Sitcom has an amazing tutorial for how to make a clock with a wrought iron look using only those cardboard tubes! 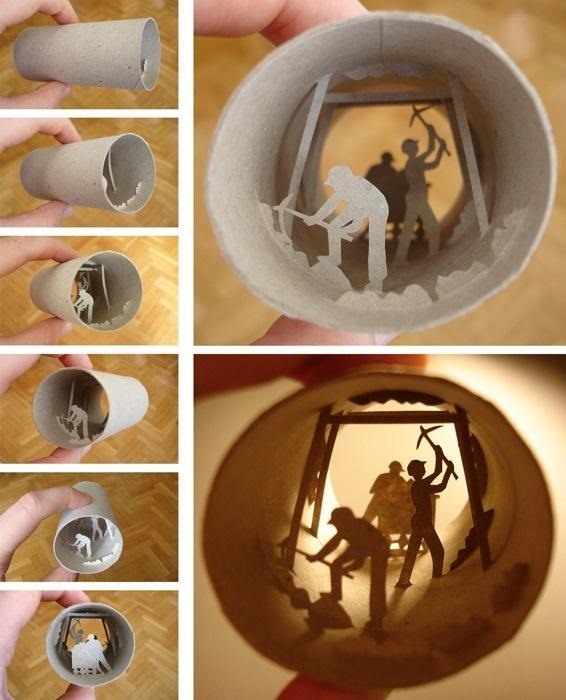 French artist Anastassia Elias makes some really cool miniature dioramas using old toilet paper tubes. There isn't a tutorial for this idea, but I thought it was brilliant enough to include anyway. 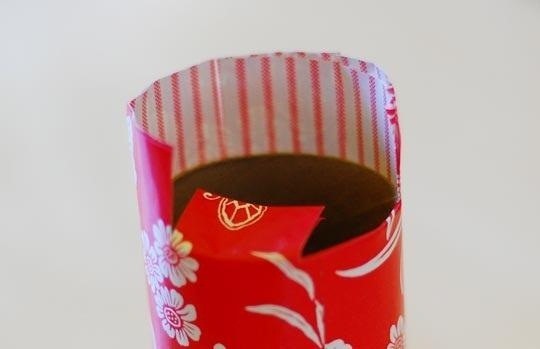 She did speak about her process though: "I cut the small paper shapes that I stick inside the toilet paper rolls. I use tweezers to manipulate the paper shapes. I select the paper of the same color as the roll. 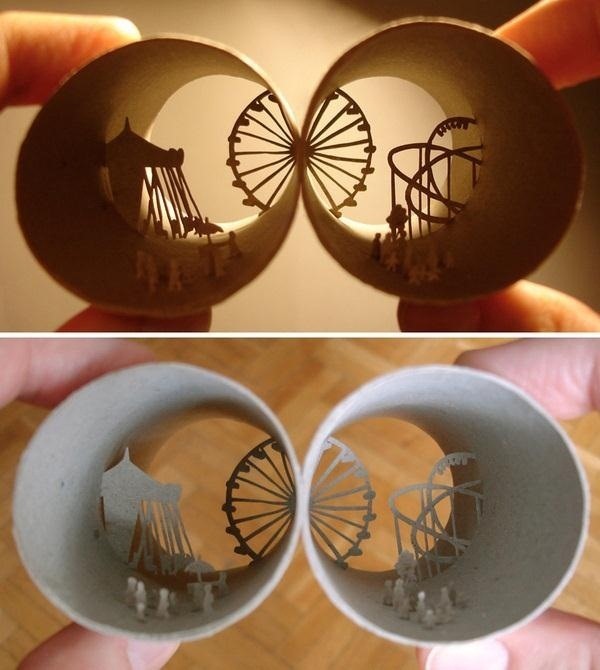 It gives the illusion that the paper figures make part of the roll. 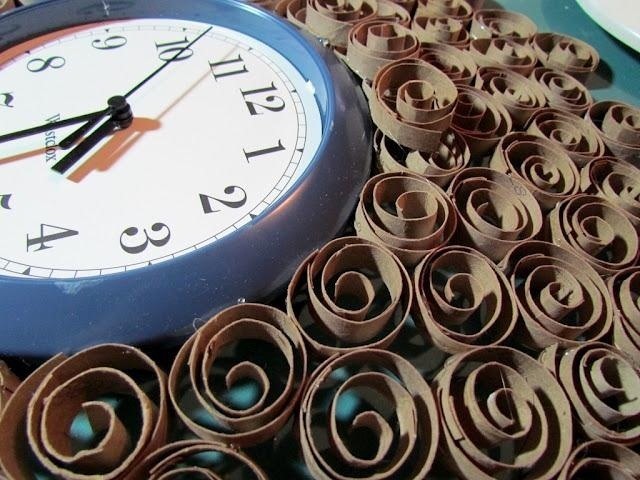 I need few hours to make one piece." 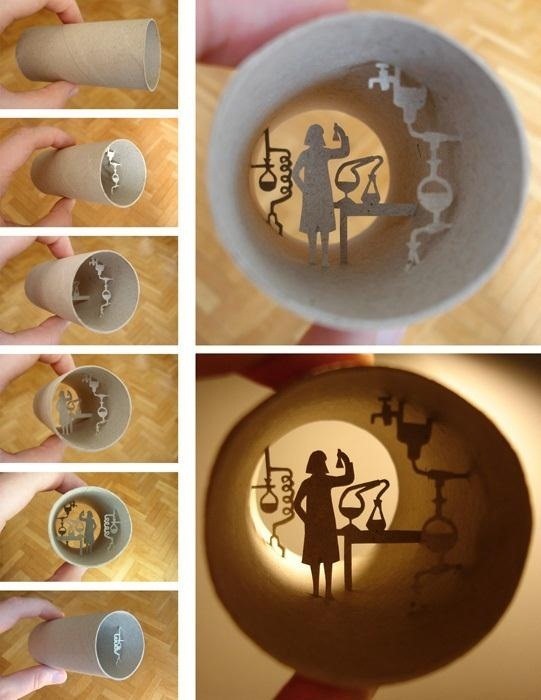 These are just some of the cool things you can do with those old TP tubes. There's tons of ideas out there. Can you think of anything better? How about organizing ideas? Tell us about it in the comments section below! Those are so cool and smart! Thank you I thought they were cool too!